Girls’ tennis team smashes their way to another section title. Back to back section champions, runner-ups in the WPIAL, and undefeated for the last two years. Did you know that? No? That’s what I thought. 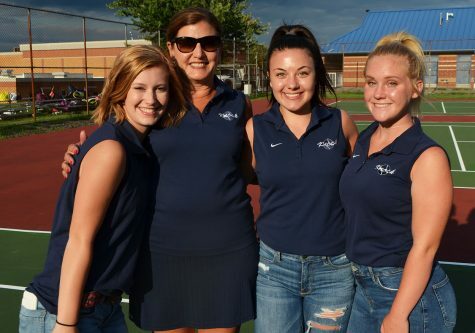 The tennis team here at Knoch does not get much recognition. Don’t get me wrong; there are students who care and watch the matches. Not only is the talent on this team incredible, but the coaches also play a major role as to why this team is three- time section champs. Sophomore Laura Greb is the teams’ number one single players. She has always been a star player from the beginning. “I have been playing tennis since I was six years-old. 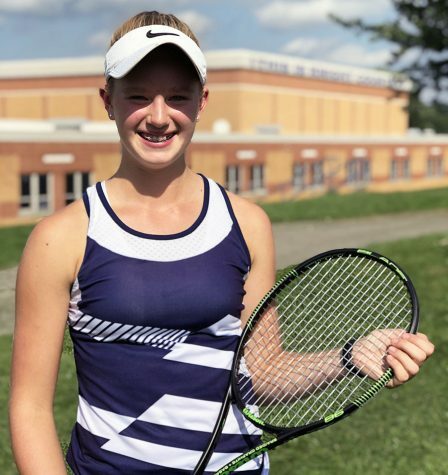 My parents thought that tennis would be a good sport for me, so they put me in lessons and I fell in love with it,” said Greb, two-time section single champ. Although Greb has done amazing things for the team, sometimes she feels as if her glory can be overshadowed by other sports. “I think we get some recognition but it is sometimes taken away from other sports such as volleyball,” she said. Many players on the team could not agree more with Greb. “We get recognition but not enough. I feel like we deserve more.” said senior and co-captain Alex Jaksec. Jaksec is co-captain with senior Emma West and they have proven with hard work and a little bit of fun, everyone feels welcomed who joins the team. 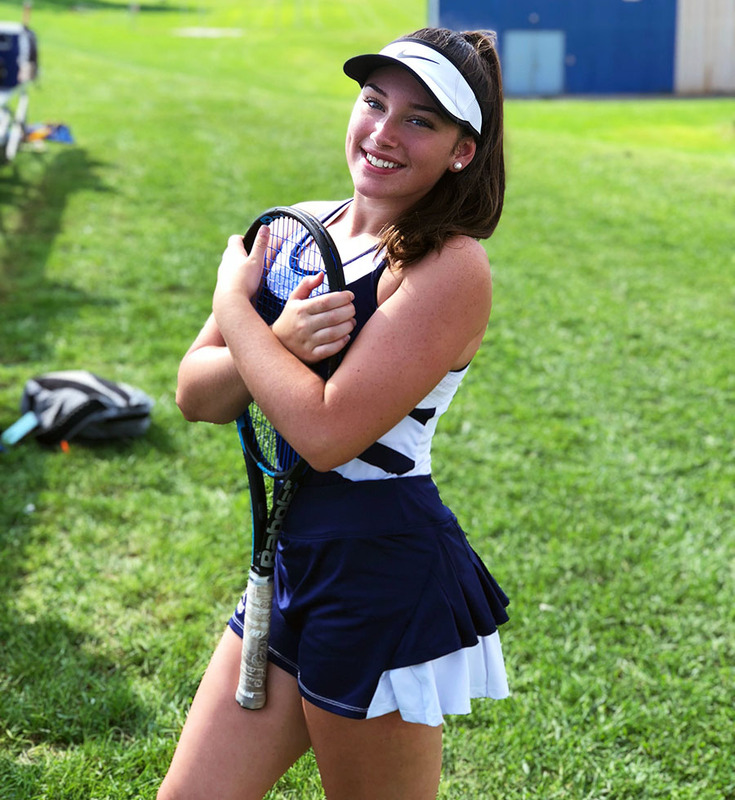 “Don’t be afraid to try a sport, especially tennis, just because you feel you don’t know what you’re doing or don’t think you’ll be good enough,” said Jaksec. Students such as Greb or Jaksec, who have proven they can push through any obstacle, maybe deserve a little more gratitude towards their accomplishments, but they are not the only ones who deserve a good pat on the back. Nance Conlon and Keith Miller, or as we know him as Mr. Miller, are the coaches of this superb group of ladies. Nance Conlon is the girls’ head coach. This team is nothing but a group of nice girls, who love to eat on the way home from the matches, sing super loud at practice so the football boys walking past make fun, and underrated talents. If you have never picked up a racket, it does not matter. Some of the girls who walk onto this team who have helped the team go all the way to Hershey simply played to have fun with their friends. For that very reason, this team deserves a little more. Girls who play to make new friends, have some fun, or maybe just want to get out of class early for matches, will go down in Knoch history. “Knoch girls’ tennis three time undefeated section champs this year. I’m calling it now.” said Jaksec.